I am so excited to announce that I am going to be hosting a mystery knit-a-long inspired by the novel and TV show Outlander! I have been a pretty huge Outlander fan ever since I discovered the books about 10 years ago. So of course, when I heard there was going to be a TV show I was ridiculously excited, and immediately began designing a pattern inspired by two of my favorite literary characters, Claire and Jaime. The Jimmy Beans Wool limited edition colors, dyed by Lorna’s Laces, were created with my input, specifically to represent them! However, the design will look lovely in any color combination, as long as there is a fair bit of contrast between the two. 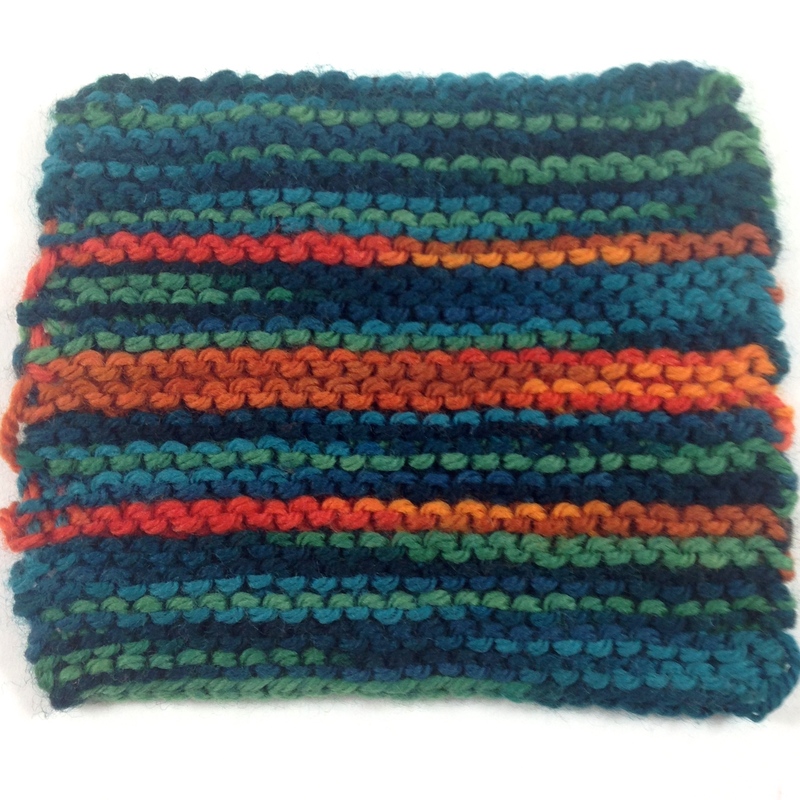 The swatch below shows how the Lorna’s colors knit up together! The design is a two color shawl of intermediate difficulty. Knit in sport weight wool yarn, it will be super warm and snuggly, even for the harsh Scottish highland weather! You'll have to join in on the fun to learn more! You can purchase the pattern for $3 on Ravelry. At the end of the MKAL the price will go up to $6 so get it now! Also, if you want to use the gorgeous Lorna's Laces colors you can purchase those from Jimmy Beans Wool beginning July 31st. You will need 2 skeins of each color.